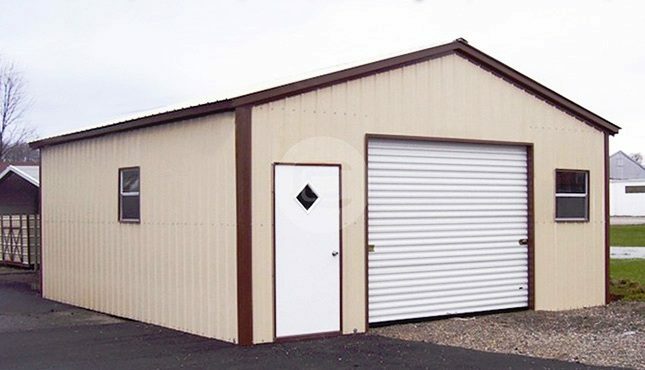 This 20’W x 20’L x 9’H all-vertical enclosed garage features one 10’x8’ garage door, one standard walk-in door, and two standard windows. 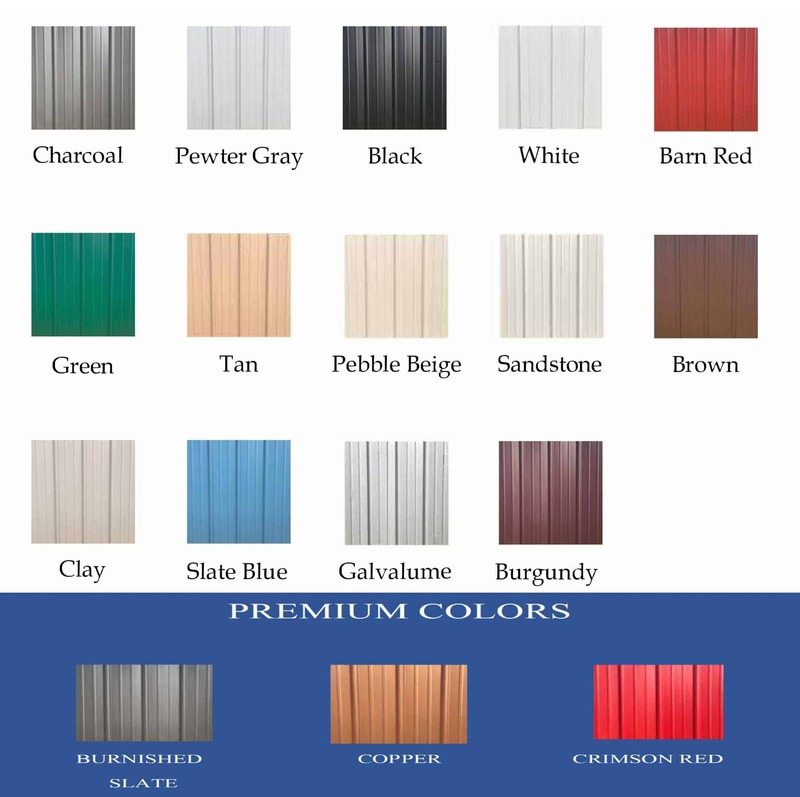 It is certified to withstand local wind and snow loads, the vertical paneling providing additional protection. A few ways to utilize this garage are for parking your cars, storing household items, a hobby shop, workshop, or maybe an office. If you aren’t sure about your requirements, just call (844) 860-4950 to speak with one of our friendly building specialists. We can’t wait to help you!